Picture this: you’re standing in the middle of Target when your child spots a LEGO toy he wants and when you tell him he can’t have it, all hell breaks lose. He throws himself on the floor screaming and wailing, and the disapproving looks from passersby make you wish the floor would open up and swallow you. You know from experience that yelling isn’t the most effective strategy when it comes to anger management for kids, but you’re starting to lose control. Dealing with an angry child isn’t easy. Big emotions can get out of hand very quickly, and when we’re already exhausted, sleep deprived, and feeling out of our depth, staying cognizant of appropriate anger management for kids can be difficult. Millions of parents have fought the fight before us, and the internet is filled with all kinds of tips and tricks to help us empower our children to deal with their emotions. Check out 8 of our best tips to help you grasp the oh-so-complex concept of anger management for kids below and remember: this too shall pass! The first step in teaching proper anger management to our children is to model appropriate emotional regulation ourselves. If we scream and swear the moment something upsets us, our child will learn to do the same. But if we practice deep breathing, listen to relaxing music, or go for a long walk when anger threatens to take hold, we will teach more effective – and acceptable! – coping mechanisms to those who look up to us. Remember to think before you act, verbalize your feelings in an acceptable manner, and take responsibility when you do lose control. In his book, The One Minute Mother, M.D. Johnson Spencer discusses an effective technique for reprimanding unwanted behavior in our children whereby we attack the BEHAVIOR and not the CHILD. By taking one minute to verbalize why we are unhappy with the way our child behaved, pausing for a moment, and then following up with a hug or expression of love, we will make our displeasure clear while ensuring our children know they are still loved and that we still respect them as people. A great tool with regards to anger management for kids is ensuring clear rules are communicated on a consistent basis. By explaining what the rules are, what’s expected, and what is and isn’t appropriate, and taking the time to give our children regular reminders, we are setting them up for long-term success. The easier the rules are, and the more consistently we reinforce them, the easier it is for our kids to meet our expectations. Reinforcement is a fabulous technique parents and caregivers can use to increase the likelihood that a child will repeat a desirable behavior, and while both positive and negative forms of reinforcement can help with teaching appropriate anger management for kids, research tends to suggest that positive reinforcement is the most effective. Sticker charts are a simple, yet effective, form of positive reinforcement that can be extremely motivating for kids. This Dry Erase Reward Chore Chart is my favorite as you can easily customize it for your individual child. When kids are angry, they often don’t know what to do about it. Their anger often comes from a feeling of helplessness in a situation. By teaching them some tried and true calming techniques, we can help them not to feel so helpless. Have them take a deep breath. As many as it takes to get them to feel somewhat stable. Then have them smile. Even if they don’t feel like smiling, the act of doing so has been proven to lift spirits. Finally, have them give the biggest fake laugh they can give. Usually, fake laughing will lead to real laughing. But even if it doesn’t, by the time they are done they will be feeling far more calm and able to talk things through. There are many products on the market that are made precisely to help de-stress and calm children. A fidget cube is a good one that can help kids and adults to focus for a few moments on something other than their feelings. A sensory fidget slap toy bracelet is also a good one, as it’s a tactile toy that will distract younger kids with colors and fun pictures of dinosaurs or dragons. Even giving your child some coloring books and crayons can help them to calm down and get through their upset. You know your child better than anyone. If you believe that your child is struggling with his emotions, it’s never late to seek professional help. Child psychologists can observe your child and provide relevant anger management for kids strategies for you and your family, and most insurance plans cover some (if not all) of the cost. 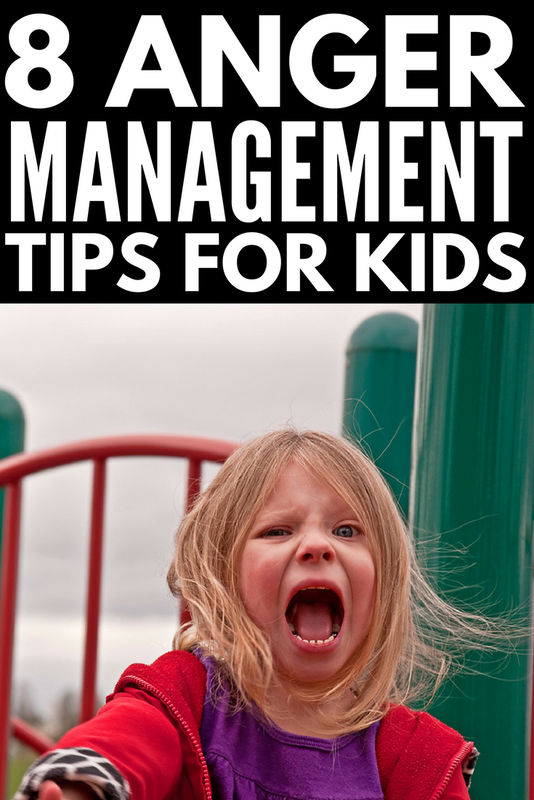 Have fun with these anger management activities for kids! When it comes to anger management for kids, there is no ‘one-size-fits-all’ approach. Every child has a different temperament, and what works for one may not work for another. The good news? There are HEAPS of great anger management activities for kids that feel more like play than work, offering a fabulous, stress-free way to help children deal with big emotions. Here are 26 of our favorite anger management activities for kids! Teaching our children proper anger management techniques can have a huge impact in helping them develop the self-discipline and self-regulatory behavior strategies they need to cope and learn in the classroom (and beyond). By teaching our kids how to keep control over their emotions through positive reinforcement, following through with rewards and consequences, and modelling good self-regulatory behavior, we help lay the foundation needed for long-term success with their education, career, and personal relationships. If you found this post about anger management for kids helpful, and enjoyed the anger management activities as well, please share this post on Pinterest!